Posted Mar 29, 2019	 Ethoplex planted this circuit in a field to support a temporary deployment. Sometimes our field techs actually work in a field! Posted Mar 15, 2019	 "Keefe John, founder and CEO of Ethoplex, a Germantown high-speed wireless internet service provider, also leads the Wisconsin chapter of Wireless Internet Service Providers Association. 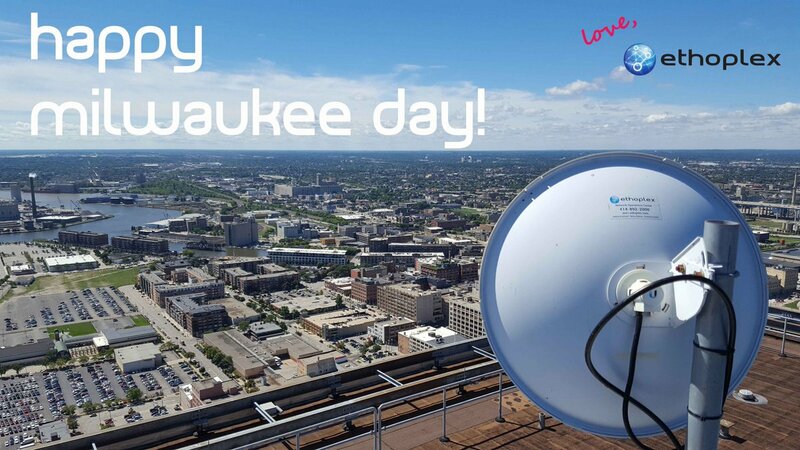 With an expected 1,500 events happening in Milwaukee for the convention, there will be plenty of demand for high-speed internet service."